Call for Ideas! Will you win the Best Idea Award 2018? Submit your idea and join our Summer Labs! Do you have an innovative idea or solution that contributes to an inclusive, just and sustainable world? The Summer Labs accelerate your idea around development cooperation into a pilot proposition with or within a (Dutch) NGO that you could start the next day. Send in your idea and win The Spindle Innovation Award for Best Idea 2018 on October 11th + €5000 seed money! Apply before May 31 2018. You learn best when you have fun, are connected and passionate about the idea you’re working on. This is the philosophy behind The Spindle Summer Labs. We aim to create a space in which creativity is triggered and you boost the setup of a new plan, project, business model, policy, product or service in the world of international development. Get ready for an intense, inspirational and awesome summer, in which you could be one of the ten teams that develop their idea with leading design agencies STBY and AndThePeople, making use of the network of The Spindle. 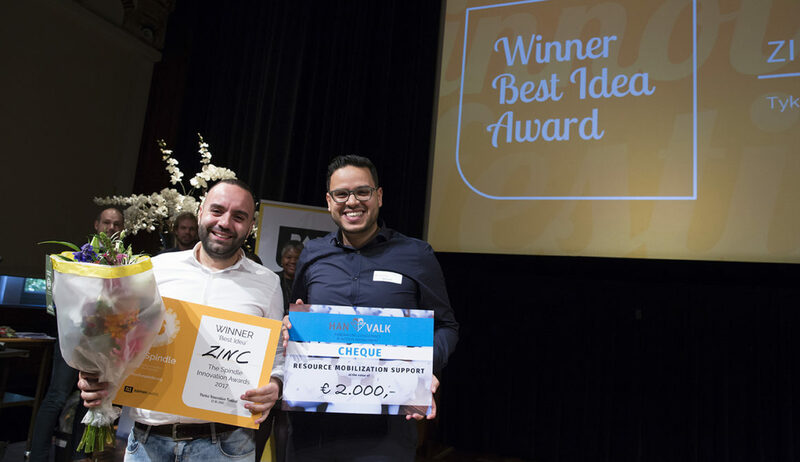 So, send in your idea, join The Spindle Summer Labs (our Jury will select the ten best ideas) and win The Best Idea Award on October 11 at Partos Innovation Festival in Amsterdam! Passed the idea stage already? Have you already executed a pilot and has your idea, therefore, passed the idea stage? Then we would like to know about your initiative as well! At Partos Innovation Festival in October 2018, The Spindle hands out Innovation Awards in two categories: Best Idea 2018 & Best Innovation 2018. You can apply for Best Idea now, but if you have already passed the idea stage you can submit your innovation to compete for ‘Best Innovation 2018’!